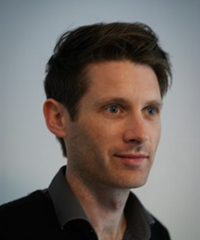 The Faculty is delighted to announce that Tom Douglas has been awarded a European Research Council Consolidator Grant, for a 5-year project entitled 'Protecting Minds: The Right to Mental Integrity and the Ethics of Arational Influence'. Abstract: Unlike most traditional forms of behavioural influence, such as rational persuasion, incentivisation and coercion, many novel forms of behavioural influence operate at a subrational level, bypassing the targeted individual's capacity to respond to reasons. Examples may include bottomless newsfeeds, randomised rewards, and other 'persuasive' technologies employed by online platforms and computer game designers. They also include biological interventions, such as the use of drugs, nutritional supplements or non-invasive brain stimulation to facilitate criminal rehabilitation. The ethical acceptability of such arational influence depends crucially on whether we possess a moral right to mental integrity, and, if so, what kinds of mental interference it rules out. Unfortunately, these questions are yet to be answered. Though the right to bodily integrity is well-established, the possibility of a right to mental integrity has attracted little philosophical scrutiny. The purposes of this project are to (1) determine whether and how a moral right to mental integrity can be established; (2) develop a comprehensive and fine-grained account of its scope, weight, and robustness, and (3) determine what forms of arational influence infringe it, and whether and when these might nevertheless be justified. The analysis will yield guidance on controversial forms of arational influence including persuasive digital technologies, salience-based nudges, treatments for childhood behavioural disorders, and biological interventions in criminal rehabilitation.